When we started to plan our trip to America, we had a dream. We knew that we wanted to stay in San Francisco, and were more than aware that one legendary restaurant was only about an hour away. 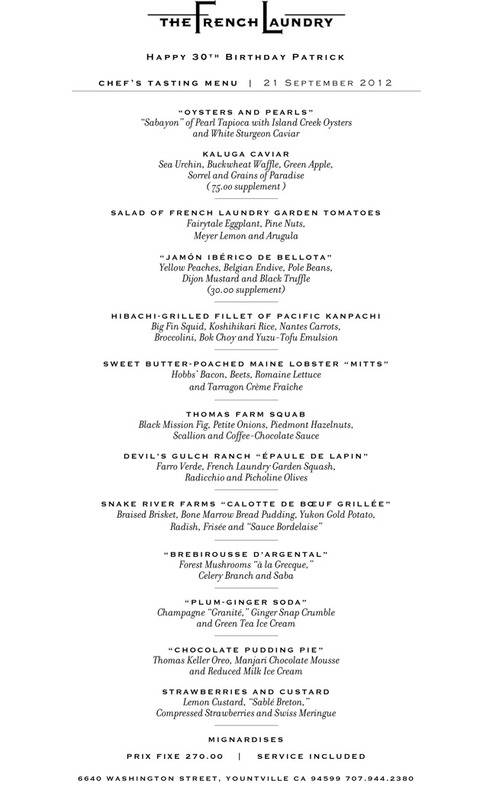 Nestled in a small town just outside Napa, The French Laundry is like a little piece of southern French countryside. Whilst perfecting his craft, Thomas Keller had spent time in some of France's most prestigious three Michelin starred restaurants, and knew he could bring this to America. 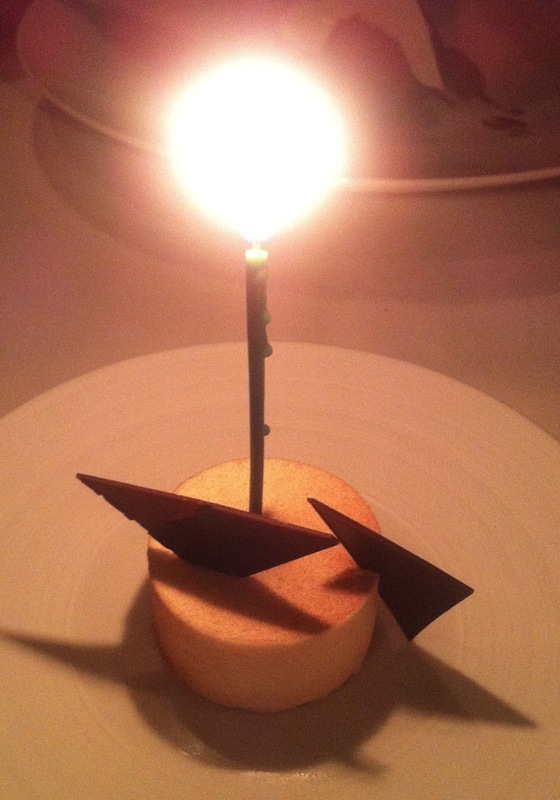 The French Laundry take bookings two months in advance. You must try exactly two months to the day. Open Table - this is an online booking system. However, there are only three tables available for each day. One for two people and two for four people. Tables are either 5.30pm or 9pm, so put your time selection in the middle of the two so you are offered both. Tables are opened up any time from 6pm (Pacific Time). Check the time difference over there before planning your reservation! I found this system a bit unreliable. I was hitting refresh like crazy, then I was offered a table only for it to suddenly disappear when I needed to put my details in. Gutted. There are also some other tricks of the trade (so I hear). American Express concierge - apparently have some sort of 'Bat-Phone' for reservations. My main tip - don't give up on the phones. There are only a couple of lines, that's why it's always engaged. We were on the phone for over twenty minutes, so really trying for over an hour means that they may have only dealt with about six people between them?! Persevere. 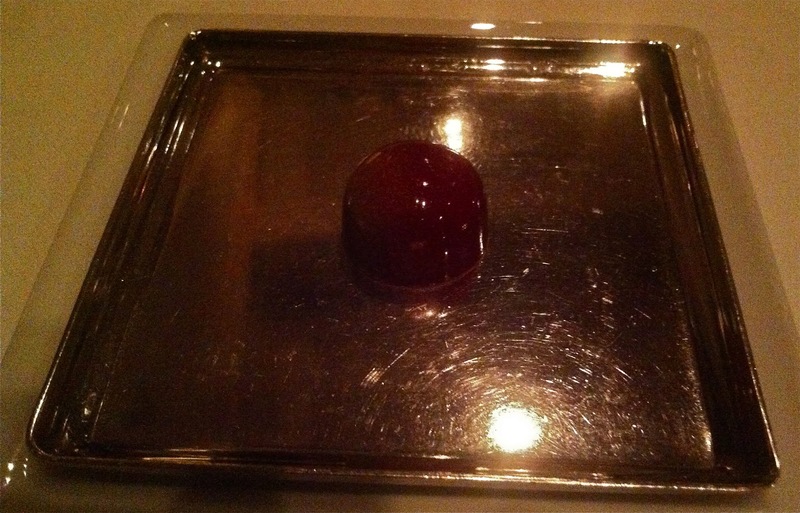 Many people talk about The French Laundry being in San Francisco. It isn't. It's about an hour and twenty minutes drive from the city. This was one of the reasons we decided to drive from Vegas to San Francisco (even before we had the reservation...). Hotels in Yountville get booked up months in advance, so by the time you have a booking in the restaurant, it's too late. We stayed in Napa which is about a ten minute taxi ride away. We stayed in the Hilton, but we thought the Marriott next door looked like it had better facilities. Hotels here are expensive but necessary if you want to stay so close. My OCD meant that we arrived (ridiculously) early, but it was already dark at 8.20pm. It's on a little street which looks like something out of a film set. Quaint little bistros and bars sit next to one of the world's most famous three star restaurants. It reminded me a little of Bray in the fact it's a tiny town with a massive culinary presence. 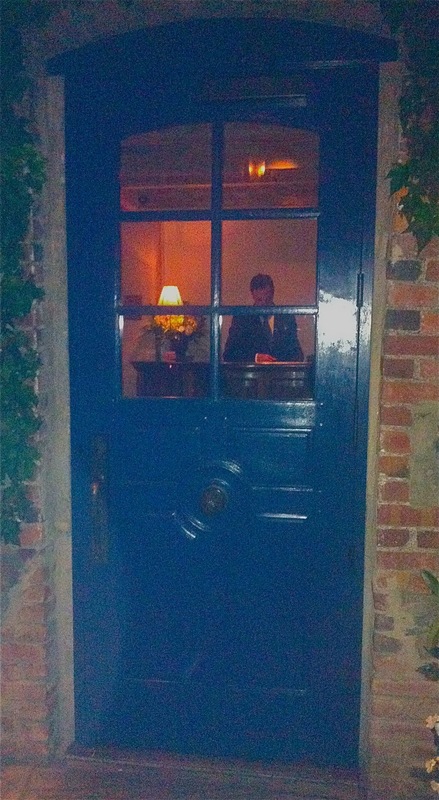 The entrance is via the side through a beautiful walled garden with creeping ivy and an abundance of bright flowers. There it was. 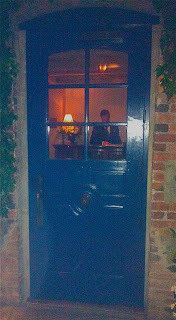 Even though the courtyard is quite dark, the famous blue door shone like a beacon! Inside is also very dimly lit, with large dark floral arrangements adorning the corners. We were seated in a small waiting area and offered a drink. This is where it gets tricky. I hate wine. I'm in one of the most famous wine producing regions in the world, in a three star restaurant, and I don't like wine. I confessed immediately, only for the host to look utterly bemused! I asked which soft drinks were available. She had to check. There mustn't be much call for them! It was like the time I went in the Fox and Hounds on Halliwell Road and they had to get orange juice from the basement... We decided for the rest of the trip that I was going to claim I didn't drink. It's just not cricket getting hammered on spirits whilst everyone else daintily sips wine! My husband took advantage of the good choice of ales on offer! I nearly died with excitement when they said our table was ready. We were taken through to a small dining room, which had another alcove with tables to one side. There were also seats upstairs, so in comparison to many other fine dining restaurants, this was rather large (bearing in mind that a few nights earlier we were two of only eight diners!). Where there are two or more dishes before a dividing line, these are options. Canapes: These were certainly a taste of things to come; cream cheese choux rolls and Keller's signature salmon cornet. I hate salmon but this was beautiful. Both had very subtle flavours but worked perfectly. Oysters and Pearls: This was the one I was a bit mithered by. I'm not a huge fan of fish, and this included two very fishy things; oysters and caviar. I was pleasantly surprised by this as the oysters were small and it was served in a rich buttery sauce. The caviar was actually quite mild in flavour. Jamon Iberico de Bellota: This is Spanish style ham with peaches, beans and truffle. My husband said it was worth every penny of the supplement. That ham was pretty special! Salad of French Laundry Garden Tomatoes: Believe it or not this was my stand out course. They had achieved something I have only experienced twice before. They managed to make food taste like a specific smell which reawakens a memory. I'll explain. When I was a little girl I loved picking tomatoes from the vine in my Uncle Tom's greenhouse. The waft of tomato plant as you slid open the door on a warm day... that's what this tasted like. 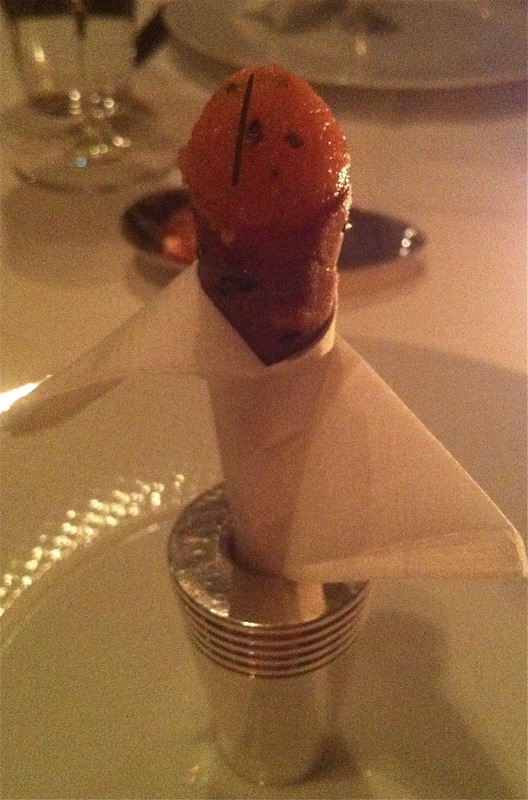 The others who achieved this were Heston Blumenthal (that's his thing...) at the Fat Duck and Frantzen/Lindeberg in Stockholm. These tomatoes tasted of happy childhood memories. Hibachi Grilled Fillet of Pacific Kanpachi: This elegant looking dish was the start of the meatier courses. This was a meaty fish served with squid, rice and vegetables. Bit of a Japanese nod I think! Sweet-Butter Poached Maine Lobster Mitts: When done well I'm a huge fan of lobster, when done badly it's like an old tyre. This was perfect. Served with tarragon creme fresh, it was a lovely fresh dish before the onslaught of the meat. I ignored the beetroot (mortal enemy number 2). Thomas Farm Squab: Just look how rare that is! This was gorgeous. Only just devoid of a pulse, this squab was rich and decadent and full of everything I had hoped! Mixed with such lovelies as figs, hazelnuts and coffee-chocolate sauce, this was Fall on a plate. We both had this, as the alternative was mortal enemy number 1. See menu. Snake River Farms 'Calotte de Boeuf Grillee': American beef is so much better than the majority of ours (unless somewhere has a particularly good butcher!) This was a modest chunk of shin beef with the flavour of an entire cow. Served with a bone marrow and bread pudding and a thick 'sauce bordelaise', this was the point where I started to die. I always struggle around the main meat course because you generally go from very light vegetable and fish dishes into rich, dark meats with robust sauces. I was flagging. Brebirousse D'Argental: This was a lighter mushroom dish (thank God!) with ribbons of celery. I was really struggling, but it was gorgeous. Again, very rich despite the lack of meat. Whoever said that fine dining portions leave them hungry need to have another chat with me after a tasting menu. Plum-Ginger Soda: I was so pleased to see this. Something fresh and cold was just what I needed! This was immense. Sharp green tea ice cream with champagne granite and ginger snap crumble. Heaven. 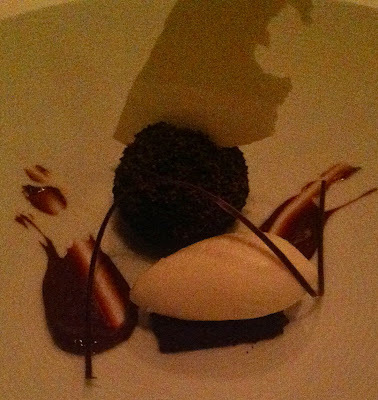 Chocolate Pudding Pie: This was like a truffle with ice cream. This was the point where I nearly had to have a little cry. I went for a walk to the toilets just to try and wake up! The rich food and ambience was doing a bit of a number on me, and the food ache had well and truly set into the tops of my legs. At least I had a comfy dress on! Strawberries and Custard: This was the course I was looking forward to most, but came at the worst possible time. I'm dying. When it was put down I had a little chuckle, as it looked very similar to a dessert I had eaten at Northcote a few years ago. It stuck in my mind because it was incredible! Nigel Haworth obviously thought the same. He must have used this as his inspiration... It was just what the doctor ordered. Sorbet, chewy meringue and tart lemon custard to perk me right up! I enjoyed every mouthful, despite being on death's door five minutes previously. Total dessert warrior. Chocolates: When our waiter appeared with a magnificent box of chocolates, I was torn between 'Ooh they are shiny and beautiful!' and 'Noooo! They will surely kill you!' We picked a Bounty style one and a peanut butter and jelly one. It's a good job we only picked one each, otherwise I am sure we would be deceased by now. Petit Fours: I actually laughed out loud when I saw these appear with our coffees. I was again made to choose between feeling like I was about to burst and the utter gluttony that besieges me when I see a doughnut. Two doughnuts and a chocolate macadamia nut later, I was vowing never to eat again. The French Laundry was everything we expected it to be and more. Classic French styling, influenced by Keller's experiences over a career spanning several decades at the top of his game. We left with an amazing goodie bag, which included food guides, copies of our personalised menus and two tins of house shortbread. They even packaged up the chocolate macadamia nuts we didn't manage to eat. I hear Thomas Keller is now preparing for life as a retired man. Something tells me he won't be taking up crown green bowls or stamp collecting. I am soooo jealous! We tried to get a reservation a couple of years ago when we were going over for our honeymoon but with no joy- I'm going to take note of your techniques though, although I may need some more patience! Sounds like an incredible meal and experience. Can't believe you told them you didn't like wine-ha! I don't know how you managed to eat all that - impressive!